On May 21st, the Sun leaves sure and steady Taurus land and enters the frenetic, crazy world of Gemini. Gemini is a curious and eager zodiac sign, meaning you can expect to be asking yourself tons of deep questions over the next few weeks about what you *truly* want. What more is there for us to see and do? 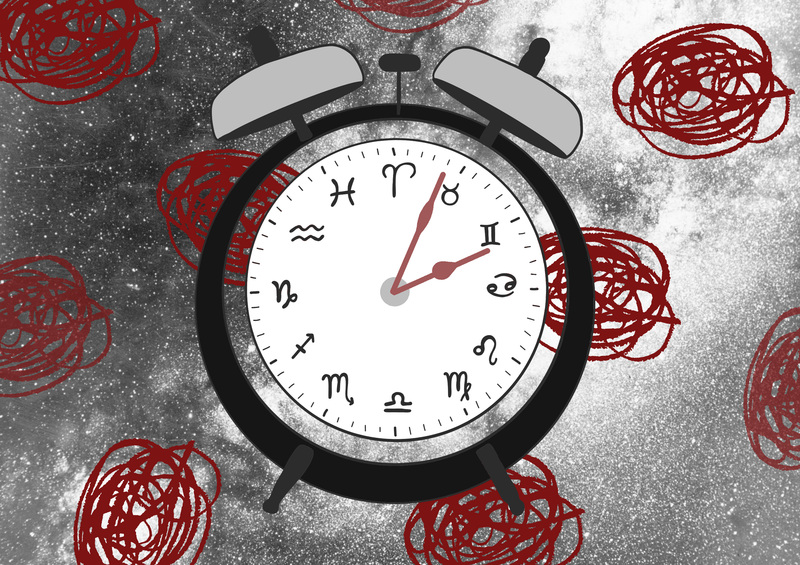 Check out what the stars have in store for you with your weekly horoscope. If you already feel like spring is flying by, then hold onto your hats! Because the speedy energy of Gemini is really going to ramp up our experience for these last two weeks of May. This intense vibe will make things feel more urgent, and you’ll find yourself busier than usual on every level — physically, mentally, emotionally. (Don’t forget to breathe.) Here’s what else you can expect this week. Happy Solar Return, Gemini! Time to celebrate. Not that you need an excuse to partake in a little festivity, but sometimes you do need a nudge to acknowledge your accomplishments and how far you’ve come. Don’t be so hard on yourself. Let go (as best as a Gemini can) and enjoy YOU. You’re feeling yourself this week, Cancer. Which means you’re more open and flirtier than ever. Use this wonderful energy to your advantage. Ask for a raise, apply for that new job, and/or accept that new hottie’s coffee date invitation. A spring fling is a definite possibility. Your hard work is about to pay off, Leo. Maybe you’ll finally get that promotion or that Insta influencer status you’ve been craving. Whatever it is, you’re back in the spotlight — just where you like it. Savour this moment, but don’t rest on your laurels (or yannies). There are more mountains to climb. The wanderlust bug has bitten you, Virgo. This might mean a literal exploration as you take a last-minute trip to an exotic destination, or you might want to dig deep into the spiritual and mystic practices that will help you get to the root of you. No matter what, you’re headed for some growing and evolving! Gemini season means you’re reconnecting with your inner social butterfly, Libra. Which you love, because you love being around the energy of others. However, there are some people who might not “get” you and they could dampen your mood. Don’t let them. Not everyone will be your cup of tea (and vice versa) and that’s okay — keep shining anyway. You’re in need of a deeper connection, Scorpio. Maybe that’s with a special someone, the idea of someone, or it could even be with yourself. Whatever it is, this desire means you will have to stretch yourself out of your comfort zone and allow yourself to be more vulnerable than ever. Yes, emotions are scary sometimes, but they can also be freeing. Creativity is your means of escape this week, Sag. You’re making huge breakthroughs by tapping into your creative side and honoring your intuition. By trusting your gut and allowing yourself the joy of creativity, you’ll find that you’re attracting harmonious interactions all around you. Soak it up and have some fun. Sit with that uncomfortable feeling, Cappy. You live to work and thrive on deadlines, completion, and feeling accomplished. But what if you didn’t? What if you let yourself sit with the inner stirrings in your heart, including those not-so-great feelings? It’s out of your comfort zone, sure, but it’s also so rewarding. Dare to feel out of your element. You’re feeling really good about your talents and abilities, Aquarius. This is an awesome space to create from — let alone exist in. However, don’t let your confidence and ambitious nature cause you to hook up with opportunities that might not be rooted in integrity. Fast cash and fame aren’t fulfilling. Let it play out, and success will be yours. You’re undergoing many changes, Pisces. Though you’re more of a feeler and lead-with-your-heart soul, you’re indulging the practical part of you by taking more action and thinking things through with your head. This isn’t a bad thing! It’s only problematic if you’re acting and behaving differently to seek the approval of others. Be you, always. You’re still spring-cleaning your life, Aries. Recently, you’ve desired a different vibration in your life and now you’re hellbent on doing what you can to attract it. Doing away with toxic people and patterns is essential for growth, but don’t uproot your life on a whim. Rein in that impulsive behavior before you burn bridges. Normally, you don’t like the upheaval that Gemini brings, Taurus, but lately you’ve been surrounded by caring and loving friends, family, and even a special someone, so you don’t seem to mind it as much. Bask in the glow of being adored and appreciated by the people who truly deserve your friendship, and forget those who don’t. Enjoy the fast and creative energy this week brings, because next week May closes out with a full moon, which means emotional breakthroughs and heavy stuff. So make the most of this curious vibe, bbs, before we get all deep again.